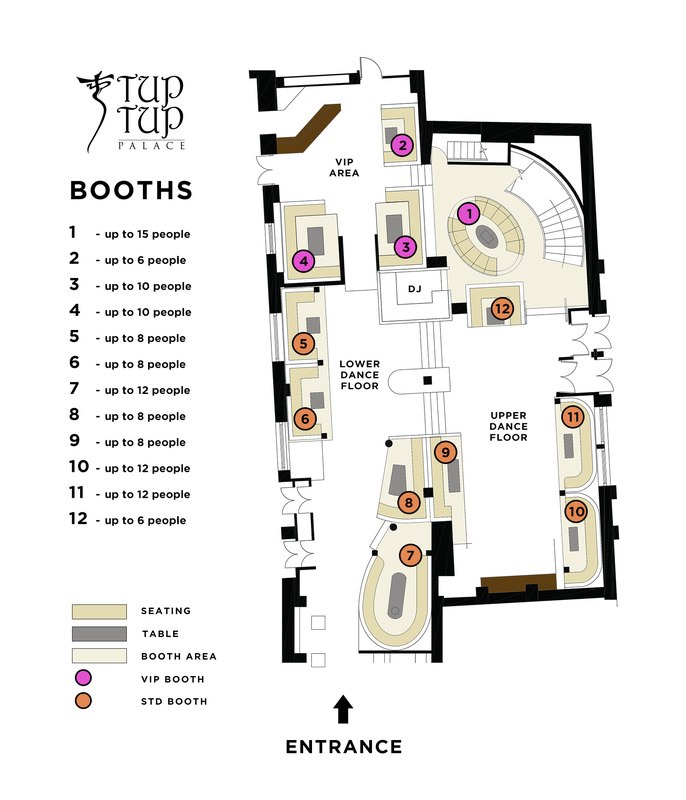 Book a booth at Tup Tup Palace and experience an unparalleled VIP experience, whether you want your own space in the heart of the action or a private champagne table exclusive to you and your entourage. All VIP guests are catered to with bottle service and a dedicated hostess. Overlooking the main dance floor, you are right in the heart of the party yet still able to enjoy your own space. Ideal for smaller groups, these booths are perfect for those that wanting to be in the thick of the action. Situated in the midst of the melee, the larger dance floor booths offer a perfect view of the club. Ideal for corralling your entourage, or simply keeping your champagne cold whilst you hit the dance floor. Tucked behind our waterfalls and in the sanctuary of our VIP suite, these tables offer a more private and relaxed party experience with the advantage of being a stone’s throw away from the dance floor. A firm favourite with A-Listers, this custom built recessed champagne table is nestled in its own area between the VIP suite and the dance floor. INTERESTED IN OUR LOJA SKYBAR BOOTHS?